Hello! 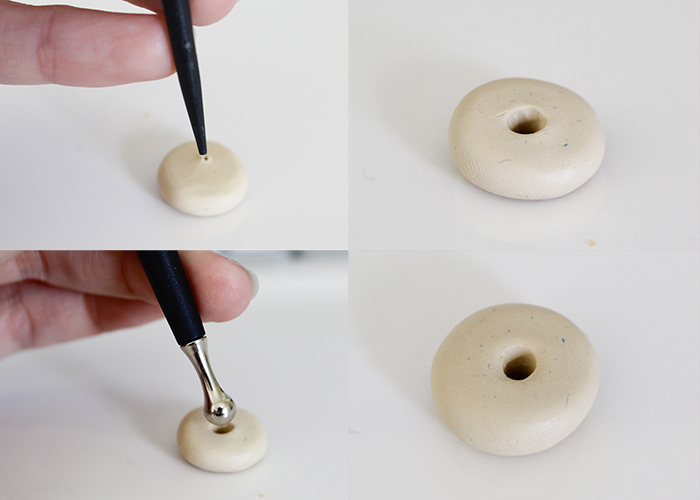 Today I’m sharing this Polymer Clay Donut Charm Tutorial. 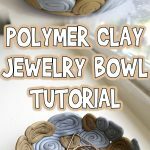 This is a great starter project because it teaches you some of the basic techniques to working with polymer clay. 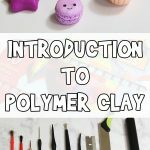 If you’ve never worked with polymer clay before, make sure to check out my Introduction to Polymer Clay post for more details! Let’s get started! 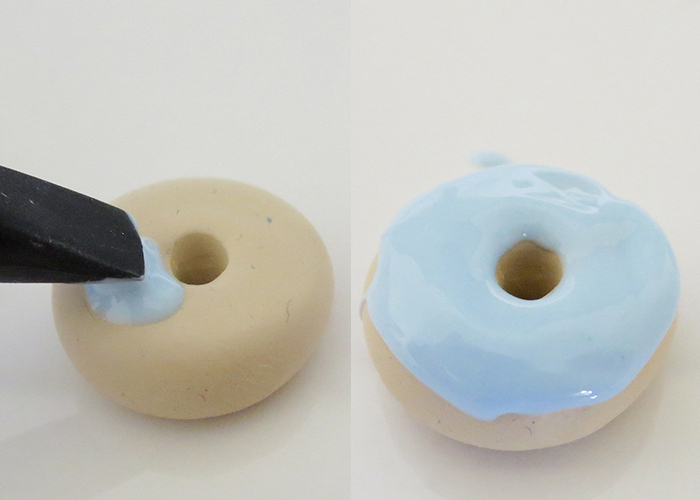 Tan, blue, white, and pink polymer clay. Round or flat nosed pliers. Razor blade. You can also use a plastic cutting tool. 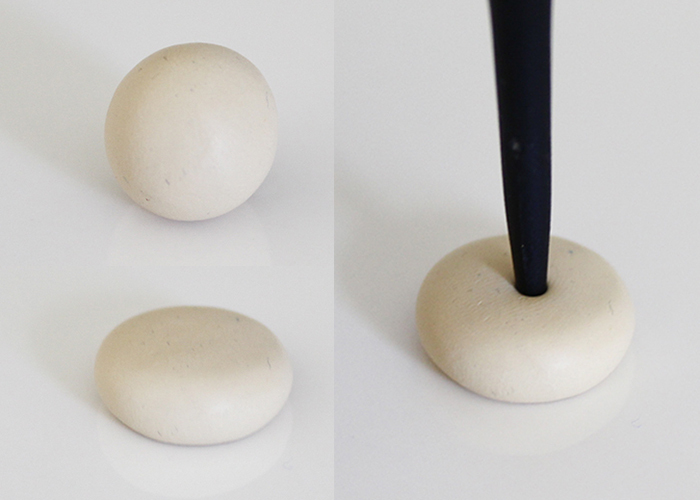 Round fine tip hole tool. Rubber tipped spatula tool. Or other spreading type tool. Porcelain tile. Or other work surface. 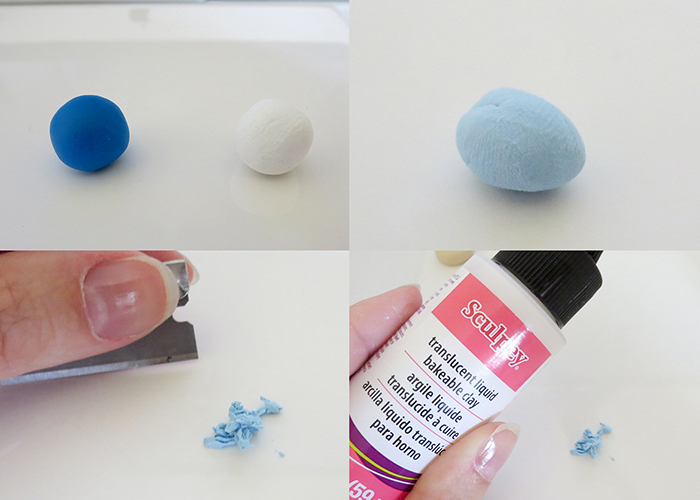 Start by taking a dime sized amount of tan clay and rolling it into a ball. Then press it into a disk shape. Next, take your hole tool and push down into the center of the disk to make a hole. Flip the disk over and make another hole on the other side, so it goes all the way through. Then, take your finger or a ball ended tool and smooth out the edges of the hole. Now you have a donut! Let’s make some frosting! 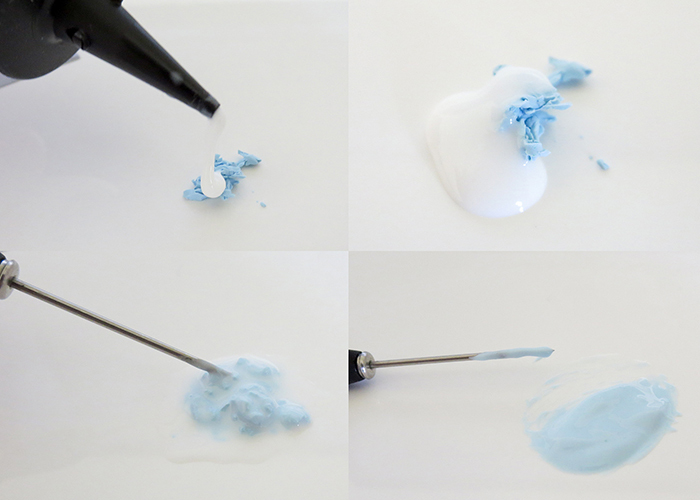 First, mix some of your white and blue clay together to create a light “blueberry” color. You only need a tiny bit of this. 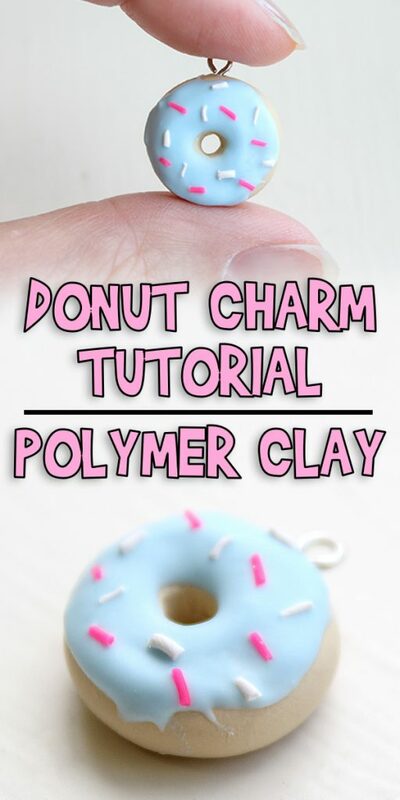 Then, use a blade or a plastic knife tool to chop up the clay into tiny little pieces. 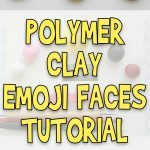 Make sure to grab your translucent liquid clay for the next step! 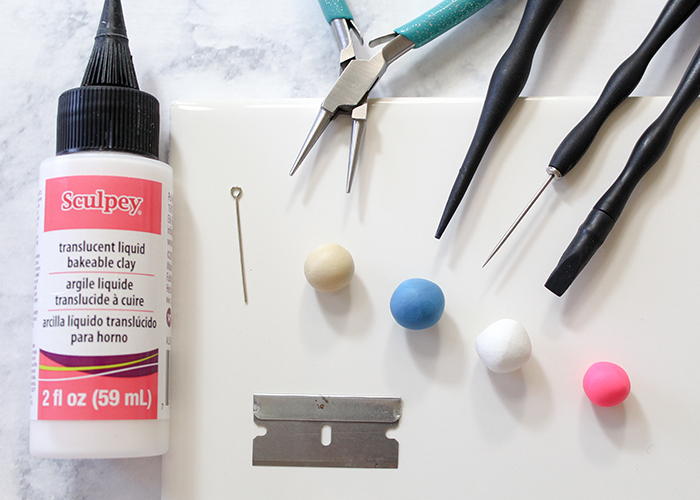 Pour out an equal amount of translucent liquid clay onto your chopped up clay, and start mixing it with the needle tool. It will start out lumpy at first, but just keep mixing an eventually you’ll have a smooth consistency that’s the texture of toothpaste. This is your frosting! 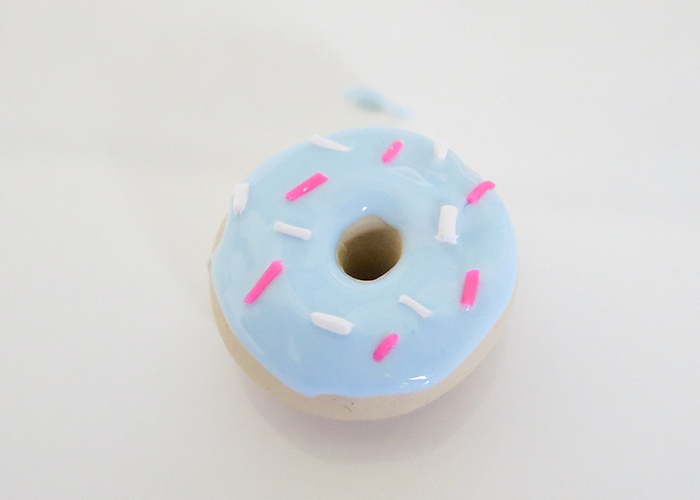 Take your rubber tipped spatula and spread your frosting onto your donut! Now it’s time to make the sprinkles. 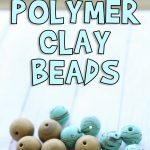 Take some white clay and some pink clay, and roll them out into very thin snakes. Now take your needle tool, and cut off small bits. 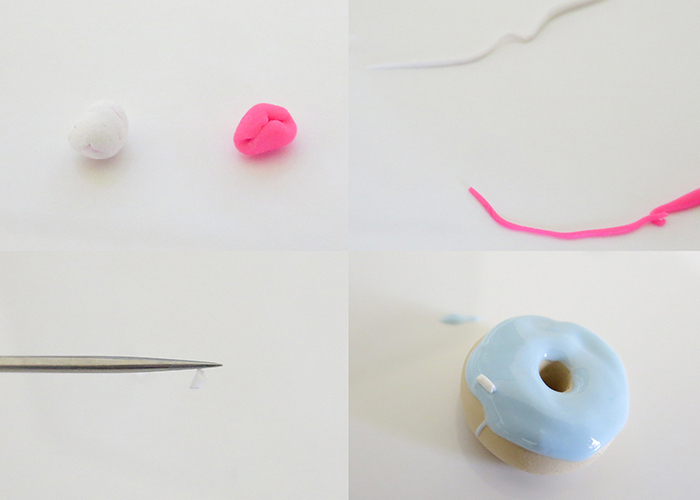 One by one, place these bits onto your donut frosting. Add as many or as few sprinkles as you’d like! Let’s add an eye pin to make this a charm! Cut down an eye pin to be about half an inch, and then make a bend about halfway down with your pliers. Insert the bent end into the donut, rotating it when you get to the bend and pushing it the rest of the way in. 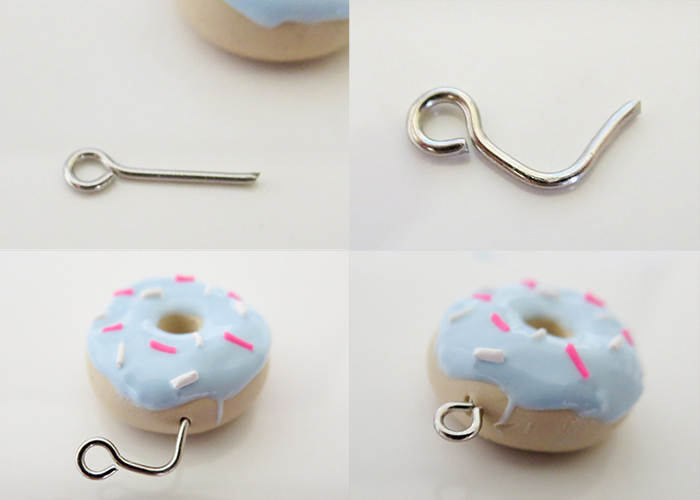 This way, the eye pin forms an L shape inside your charm and won’t fall out once it’s baked. Place a piece of blank copy paper on top of your ceramic tile, and place your finished charm on top of that. The paper won’t burn in the low even temperature, and it keeps that back of the charm from getting shiny. Bake your charm in the oven following the baking time and temperature recommended by your clay manufacturer. This information can be found on the container your clay came in. You’re all done! 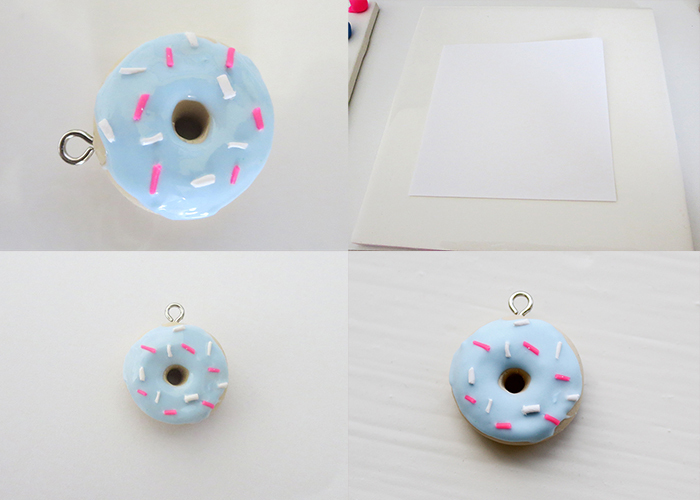 I hope you enjoyed this Donut Charm Tutorial!! 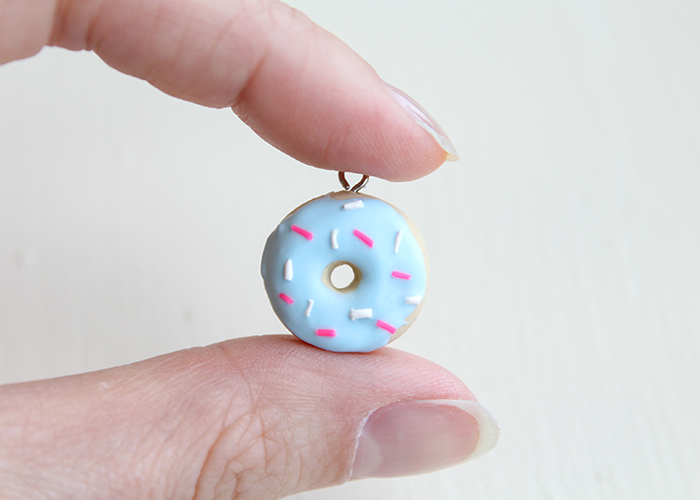 You can attach this charm to a necklace, backpack, or even make two for a pair of earrings! 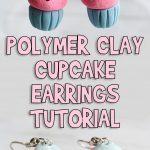 Ages 6-8, Ages 9-12, For Teens, Wearable Crafts	Joanna Brooks	crafts, donut charm, polymer clay, tutorial, wearable crafts. I'm a wife and mom of 3 kids, a blogger, beauty vlogger, graphic designer, and jill of all trades. I love this project!!! So adorable – I want to make a dozen! !